Right now take a look at these Must-Have Comfort Sole Loafers $19.99 (Retail $59.99). 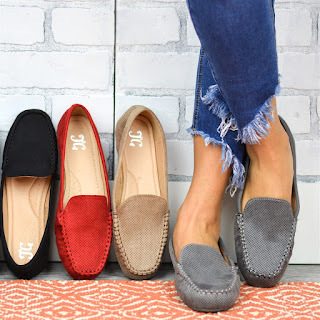 Step into comfortable style with comfort sole loafers! Durable faux suede uppers highlight laser-cut pinhole texture with a convenient pull-on style. Padded insoles create comfy all day wear and raised texture outsoles provide traction outside.